If you own a high-value home and want to consider a jumbo reverse mortgage, check out our picks for the top jumbo reverse mortgage lenders to help guide your search. Finance of America Reverse (FAR) provides retirement financing solutions, specializing in jumbo and traditional reverse mortgages. 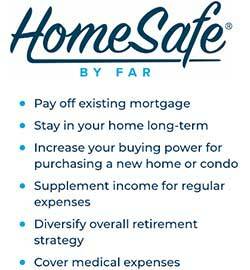 HomeSafe is FAR’s jumbo reverse mortgage loan, specializing in homes valued at over $2.25 million. American Advisors Group (AAG) offers jumbo reverse mortgages for homes valued up to $6 million. This includes Ginnie Mae-approved condos. LendingTree simplifies getting a jumbo reverse mortgage by letting you search for and compare multiple top-rated lenders at once. LendingTree only accepts highly credible lenders which shows in its positive ratings and BBB accreditation rating of “A+”. We evaluated 12 jumbo reverse mortgage lenders and selected the three best choices after carefully researching each one. We considered each lender’s fees, borrower protections, customer satisfaction and more to find the best jumbo reverse mortgage lenders and share our findings in this guide. Our top picks for the best jumbo reverse mortgage lenders are Finance of America Reverse (FAR), American Advisors Group (AAG) and LendingTree. In this guide, we’ll explain how jumbo reverse mortgages work, the differences between a standard reverse mortgage and jumbo reverse mortgage, loan limits, risks and advantages and provide tips so you can determine if a jumbo reverse mortgage is your best financing option. Be sure you understand all jumbo reverse mortgage features before applying for the loan. Compare lenders, finance charges and fees. Have a plan for managing the money received from a jumbo reverse mortgage. Sometimes referred to as a proprietary reverse mortgage, a jumbo reverse mortgage is designed for borrowers with high-value homes to access more of their home equity than they typically would with a regular HECM reverse mortgage. Jumbo reverse mortgages usually don’t require monthly mortgage insurance premiums like a traditional reverse mortgage does. Your retirement years are often a time of transition, and can be a very active time of life. Even if you enjoy traveling, most retirees prefer to remain in their home and neighborhood as a home base instead of relocating. For those who own a high-value family home, a jumbo reverse mortgage can allow for an ideal retirement lifestyle while living in the house they know and love. There is potential for growing your savings since jumbo reverse mortgage disbursements are in one lump sum. You can invest part of the money as you see fit. This can mean using the money for traveling, saving for healthcare, or remodeling your home. The fixed interest rate that goes with a jumbo reverse mortgage allows you to plan for the future of the loan with no concern about costly interest rate increases. 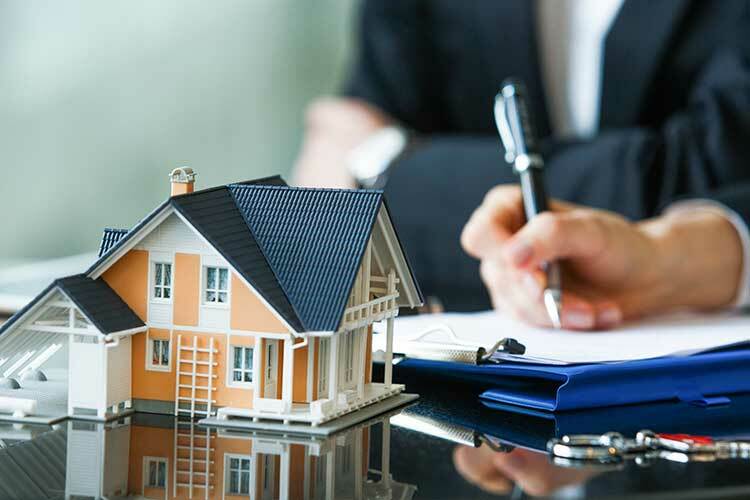 Additionally, you aren’t responsible for mortgage insurance payments, which is required with a standard reverse mortgage at a rate of two percent of the home value, and most likely an annual charge on top of that. Finally, most jumbo reverse mortgage lenders offer borrower protection very similar to the FHA guidelines for traditional loans of this type. Make it a point to ask about lender policies for allowing a spouse or partner to remain on the property if the borrower dies or goes into a senior care facility. The homeowner must be at least 62 years of age. Both loans increase over time with payment due when you sell or leave the home. The homeowner is responsible for property taxes, insurance and other expenses. Homeowners can use proceeds from either reverse mortgage however they choose. The primary difference between a traditional reverse mortgage and a jumbo reverse mortgage is loan limits. The maximum amount a homeowner can borrow with a conventional reverse mortgage is $726,525. High-value homeowners can qualify to access home equity up to $6 million. Loan disbursement: The homeowner receives the full loan amount immediately rather than in installments. Interest rates: Jumbo reverse mortgage interest rates are typically higher compared to a traditional reverse mortgage. Mortgage insurance: You will pay a mortgage insurance premium (MIP) with a traditional reverse mortgage, amounting to two percent of the loan amount. Then, an additional MIP charge of 0.5 percent of the loan amount is due annually. Jumbo reverse mortgages do not incur this charge. Federally-mandated protections: A jumbo reverse mortgage does not include protections guaranteed by the Federal Housing Administration (FHA). However, jumbo reverse mortgage lenders typically offer similar borrower protections such as the “non-recourse” protection requiring lenders to absorb the cost difference if the loan balance is more than the value of the home. While jumbo reverse mortgages can be a tool for living well during retirement, these loans are not without potential problems. Managing the money: While getting a sizable payout from a jumbo reverse mortgage is a benefit, it can easily turn into a risk. The borrower must responsibly manage the substantial lump sum received for the duration of his or her retirement. If the borrower is not savvy with investments or doesn’t have a reliable financial adviser, a jumbo reverse mortgage can be financially devastating. Higher interest rates: Although the fixed interest rate jumbo reverse mortgages offer has benefits, that rate can be around two percent higher compared to a traditional reverse mortgage. Upside-down on the loan: Keep in mind the balance on any reverse mortgage increases each month, so owing more than the property is worth when the loan ends is a risk. The only way to prevent becoming upside-down on the loan is to ensure the lender offers non-recourse protections discussed earlier. Without a contract guaranteeing the lender will absorb the loss, you could lose your home or your heirs could be responsible for paying the balance. Home-related costs: With a jumbo or traditional reverse mortgage, the borrower continues to pay property taxes, insurance, maintenance costs and association fees. It’s essential to have a plan in place for covering these costs to avoid losing the home. Is a Jumbo Reverse Mortgage Right for You? The first requirement for getting approved for a jumbo reverse mortgage is to live in a property valued at a minimum of around $1 million. If you own a home of this value, are at least 62 years of age and plan to stay in your home during retirement, a traditional reverse mortgage can be a very viable option. 1. We searched for an extensive list of 12 jumbo reverse mortgage lenders. 2. We evaluated jumbo reverse mortgage lenders based on our expert-guided buying criteria, like fees, customer satisfaction and borrower protections. 3. We provided you the best jumbo reverse mortgage lenders for consideration. More and more lenders are creating jumbo reverse mortgage programs, although this loan is not as common as other home equity lending. Luckily, we did the work to find the best reverse mortgage lenders for you. Our in-depth analysis focuses on each lender’s reputation, customer service feedback, and whether the lender provides adequate information to fully inform potential borrowers of the risks associated with a jumbo reverse mortgage among other criteria. After our evaluation, we chose the best jumbo reverse mortgage lenders: Finance of America Reverse (FAR), Lending Tree and American Advisors Group (AAG). Each of these lenders stood out above the competition in part due to their longevity in the field of reverse mortgages and customer reviews. Finance of America Reverse (FAR) specializes in jumbo and traditional reverse mortgages and other financing solutions for retirees. FAR was established in 2003 and is well-known and respected in the retirement finance solutions industry, and continues to adapt to the needs of reverse mortgage borrowers. For example, the new HomeSafe Flex is a jumbo reverse mortgage with one interest rate for a lump sum with 40 percent of the loan disbursed in monthly payments. Finance of America Reverse holds an accreditation with the BBB and 4- to 5-star ratings on sites such as ConsumerAffairs and Trust Pilot. Read our full review of Finance of America Reverse. American Advisors Group (AAG) has been in the business of offering retirement finance solutions since 2004 and began offering jumbo reverse mortgages in 2015. The company now has eight locations throughout the United States. AAG ranks highly with consumers as evidenced on the Better Business Bureau website, along with top scores from customers on Trustpilot, ConsumerAffairs, and Yelp. AAG makes ethics a core value across the company. The AAG Foundation serves senior communities around the country, the Alzheimer’s Association, local senior centers and Meals on Wheels, among other causes and charitable organizations. 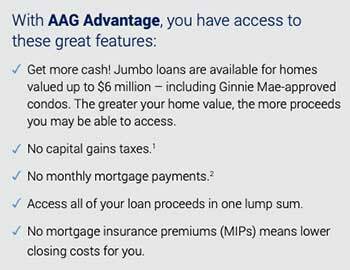 AAG offers AAG Advantage – its jumbo reverse mortgage loan – which gives you features associated with most jumbo reverse mortgages. Features include no capital gains tax, no monthly mortgage payments and access to your loan proceeds in one lump sum. Read our comprehensive American Advisors Group review for more details on the products the company offers. LendingTree has evolved since its start in 1996 into an innovative player in the loan industry. With physical locations in California and North Carolina, the company paved the way as an online loan marketplace and is now the largest lender of its kind in the United States. Lending Tree connected over 100 million customers to date with multiple offers from several lenders, including those offering jumbo reverse mortgages. Information on LendingTree’s website thoroughly explains jumbo reverse mortgages with an online comparison of an extensive list of loans to meet the needs of just about any borrower. LendingTree is not accredited with the BBB but holds a “B-” rating on the site. Read our full LendingTree review. Will a jumbo reverse mortgage negatively affect my Social Security or Medicare benefits? A jumbo reverse mortgage does not typically impact Social Security or Medicare benefits in any way. However, always check with a benefits professional to answer any questions you may have before securing a jumbo reverse mortgage. Is there any reason I should avoid a jumbo reverse mortgage? Typically, two reasons should cause you to think twice about applying for a jumbo reverse mortgage. First, if you are considering moving within the next two to three years, a standard home equity loan or even a tax deferral program for property taxes are probably better options. The other circumstance depends on whether you intend to leave your home to heirs after your death. A jumbo reverse mortgage will require the property be sold back to the lender to repay the loan after the homeowner’s death. What happens to my jumbo reverse mortgage if I need to enter an assisted living facility or nursing home? If you are entering an assisted living facility or a nursing home for less than 12 months, you will be able to return to your home. If you live out of the home for more than a year, you will most likely have to sell your house to repay the loan. However, if you are married and your spouse still lives in the home, a non-recourse loan provision allows your spouse to continue living on the property if his or her name is on the loan documents. What are the main reasons homeowners pursue a jumbo reverse mortgage? Which types of properties are eligible for a jumbo reverse mortgage? The most common property eligible for a jumbo reverse mortgage is a traditional single-family home. However, some lenders consider condominiums qualified if the property has a value of at least $500,000 and meets specific requirements. I”m over 62 but my spouse is not. Can we still get a jumbo reverse mortgage? Yes. As of 2014, HUD developed a rule where a couple with one spouse under 62 years of age can list the younger person as a “non-borrowing” spouse. If the older spouse dies, the non-borrowing spouse can remain in the home as long as he or she establishes within 90 days that they have a legal right to be there (provide legal documentation, a lease, or court order). The surviving spouse must also continue to meet the requirements of the jumbo reverse mortgage. While a jumbo reverse mortgage loan is a weighty consideration, these loans can provide freedom during retirement when managed correctly. Jumbo reverse mortgages provide retirees with options to pursue their dreams, pay for medical expenses and to live comfortably. Investigate lenders and the jumbo reverse mortgage loans offered, ask about non-recourse protections and understand what will happen to the home once you leave for over 12 months or die. Get all guarantees in writing and consider hiring a real estate attorney to go over the loan documents before closing. Properly managed, a jumbo reverse mortgage is an excellent financial tool.